During the expansion of its rail capability, SGS has nominated Iain Warner to the Strategic Rail Consulting team. Before coming to SGS, Iain gained over 10 years of experience in the railway industry (http://www.sgs.com/en/Logistics/Transportation/Rail.aspx) by working in a train operation company in the United Kingdom, where he specialized in depot operations and maintenance of traction and rolling stock. 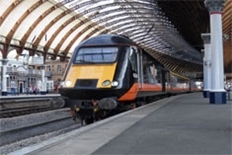 He has filled a variety of engineering management roles from mainline train operating companies, through a diverse range of maintenance depots, until rolling stock fleets. Iain, as Depot Manager, has managed several refurbishment and train modification projects. In his former position, Iain successfully finished the renovation and re-opening of a train maintenance depot closed for 15 years. Iain reports directly to Consulting Team Manager, James Airey, in his new role. “I am really pleased to be part of the SGS rail team and I am looking forward to joining a consulting organization that is building a great reputation for delivering high-quality (http://www.sgs.com/en/Construction/Services-Related-to-Su...) services to a global market.” – commented Iain. SGS provides a comprehensive rail portfolio made up of certification (http://www.sgs.com/en/Logistics/Transportation/Rail/Rail-...), assessment, inspection, maintenance and strategic consultancy services for rolling stock, infrastructure and operations. SGS experts have a wealth of experience and have served rail customers around the world, developing solutions tailored to meet the requirements of their rail industry. To ensue operating standards meet the highest practice standards, SGS examines rail components in the logistic chain and provides terminals management and transit monitoring as well as import control and additional related services. SGS logistics support, rail inspection, verification and audit services allow you to focus on other important aspects of your business. SGS CORRELL Rail is an independent verification and validation company working in both the mandatory and voluntary fields providing Notified Body services, certification of new, upgraded and modified rolling stock, technical assessment of products and processes, maintenance optimization and consultancy and training. In addition, SGS CORRELL Rail provides strategic consulting services to the rail industry.